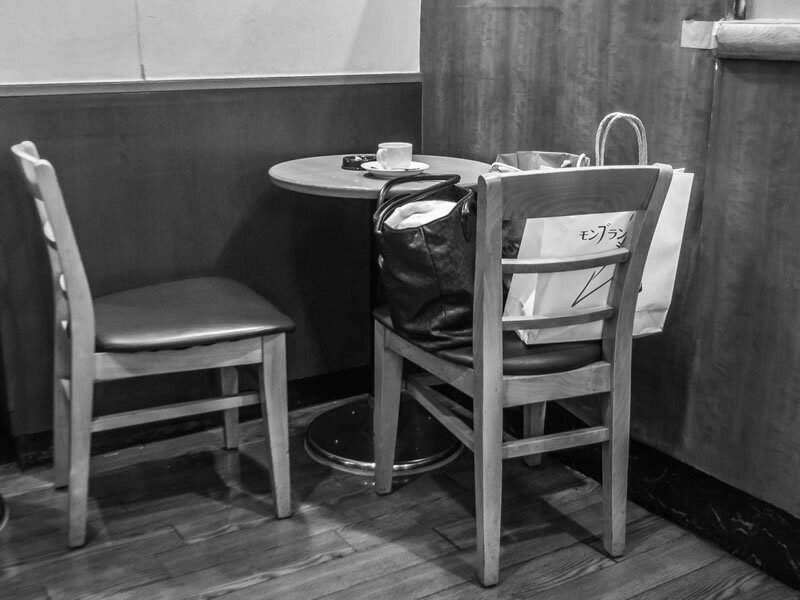 It’s one of those small details that are rarely mentioned in tourist guides and that people only notice when they stop at some café to refresh and rest from the fuss of the city –any city, although it’s obviously more impressive in a metropolis with Tokyo’s dimensions: when they want to reserve a table so as not to lose it while they are ordering at the counter, the Japanese leave their bags on a chair next to the empty table without leaving someone behind to watch over them. The same happens when they want to go to the toilet or step out for a while: bags and other personal stuff stay on the table and nobody even thinks that they might be in danger –the reason they don’t is because reality confirms it. Of course it would be absurd to claim that honesty (or lack thereof) is a racial characteristic; this didn’t stop the Japanese from telling the whole world, especially with the Olympics getting closer that during last year’s 12 months, 36 million dollars where found by Tokyoites and handed over to the authorities. What is more amazing (yet less advertised) is that although the law allows finders to become keepers if the real owners don’t claim their loss within three months, 3 million dollars and change ended up in the metropolitan government’s coffers since the people who found them didn’t go to collect them even though the police informed them that the money had been left unclaimed. I don’t blame them at all for feeling national pride over this. Safety in everyday life is one of the biggest bets of modern societies and even Japan’s most fierce critics admit, albeit reluctantly, that in the particular matter Japanese society has achieved something unique for 21st century’s standards: the almost total absence of so-called “street crime”. And even though this doesn’t mean one won’t find at least financial crimes in the worlds of corporations or politics (to say nothing about organized crime which is almost an institution) people’s everyday life remains almost completely safe –how many of us could claim that for the everyday life in our cities?